Total practicality for hunters comes courtesy of the XL Tactical, the sensational new addition to the BSA family. 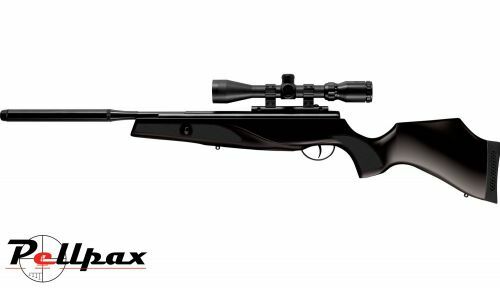 All the power and performance of the Lightning XL in a super-durable, all-weather, rubber coated wood synthetic stock designed by Jon Sykes of renowned air gun development specialists Hydro Graphics. The XL Tactical’s stock is computer-designed to provide everything sporting shooters need, and nothing they don’t. The specially-developed, hi-impact polymer compound used to form the stock is always warm to the touch, provides secure grip and remains warp-free in all climate conditions. The ultra-practical Tactical – a sporter for all seasons! Add this item to your basket & spend an extra £215.01 to apply for finance.